Owners of investment properties seek out a valued property management partner for many reasons, with maintenance being one of the most common. Maintenance calls from tenants can come at any time of the day and night and typically require some expertise. Some issues are small and easily managed. Others take time and come with costs. Whatever the issue, Simply Residential is happy to take maintenance calls 24/7, 365 days a year. In an ideal world, maintenance issues would be corrected quickly and at minimal cost to our client. But often the reason a project takes longer and costs occur is outside of our control. • May-Sept is a busy time for contractors, which may delay specialized work. •Tenants often want to be home for maintenance visits. Working with a tenant’s busy schedule will slow how quickly we gain property access. • Retailers like Home Depot often need parts and products shipped from distribution centers, which can mean a delay of 7-10 days. We do all we can to minimize the turnaround time of maintenance but some delays are beyond our control. Simply Residential doesn’t relish asking our clients to approve a repair or replacement cost. But maintenance expenditures are often an unpleasant and unavoidable part of doing business in property investment. A common cost of doing business is managing home appliances. Like all things, appliances have varying life expectancies that are affected by age, brand, availability of parts and more. Sometimes they break down before they should. 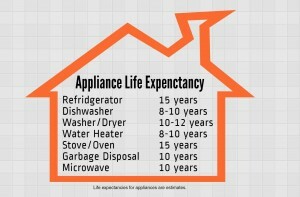 Perhaps there is some truth in the saying that, “they don’t make things like they used to.” While there is no definitive guide to accurately predicting an appliance’s lifespan, the graph to the right shows the average life expectancy for various home appliances and equipment. Appliance failure is just part of doing business. We advise clients to set aside 10% of their investment property income to cover maintenance. It’s important to note that long before any maintenance incident, Simply Residential works to detect problems in advance. We regularly communicate with tenants and encourage reporting of maintenance concerns. 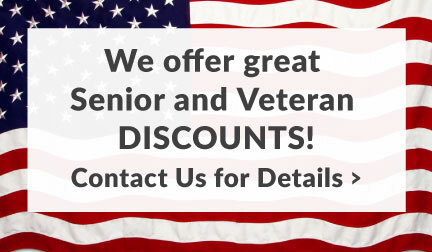 We also offer our owners a preventative maintenance service package as a way to get in front of those issues. But we know that not all issues can be predicted nor avoided. As a valued client, everyone on the Simply Residential team is dedicated to your property. We’re your property’s biggest fans! If your property was a sports team, we’d be purchasing and wearing their jerseys! So, the next time you hear from our maintenance staff, please be patient and know that we’re working hard to facilitate positive change for your property. This entry was posted in Property Management Blog and tagged appliance life expectancy, home maintenance, home repair, household appliances, Landlords, Maintenance, maintenance cost, project cost, project time. Bookmark the permalink.